CONTINUOUS DEVELOPMENT IS THE KEY TO SUCCESS! Kronoterm d. o. o. is always guided by the desire for continuous development of more and more efficient, ECO-friendly and reliable devices which match the customers’ requests. This is why our KRONOTERM programme currently features more than 70 different models of DHW heat pumps and more than 90 models of heating heat pumps as well as a number of special solutions for our OEM customers. A team of qualified engineers is responsible for continuous improvements of the serial devices and for the development of new generations of heat pumps and special industry systems. We use advanced and modern technology which includes cutting edge equipment for planning, construction and testing of devices. 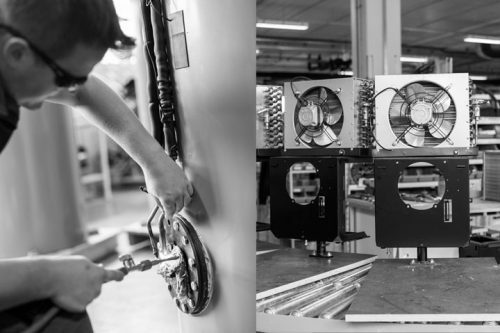 Beside our own development, the company also intensively and indirectly participates in development and improvement of certain cooling system components with renowned companies such as: Alfa laval, Honeywell, Tecumseh, Copeland, Ebm Papst, Ziehl Abegg, etc. Our long-time external collaborator, professor Smerdelj from the Academy for Industrial Design is in charge of ergonomics and design functionality as well as an appealing external design. 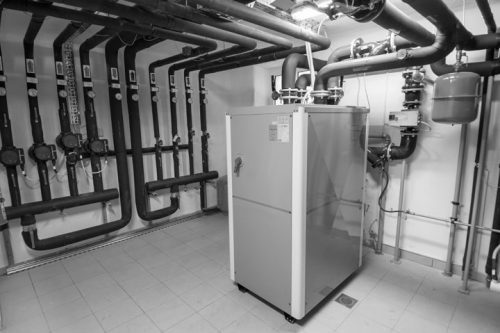 Measurements in accordance with all the directives in the field of heat pumps in force (EN 14511, EN 14825, Directives EU 811/2013, 812/2013, 813/2013, 814/2013 and EN12102). With these standards, we can measure all parameters which are required in heat pumps. Serial products deviate less from laboratory measurements because of precise measurements and improved development and production processes. Current testing of changes in material or production process. Even more reliable heat pumps with a longer lifespan, because they are tested in all weather conditions, the durability in the lifespan of the devices can also be tested. Responsive and flexible production, perfected technological processes and 100% final control enable high quality and reliability of serial devices as well as various systems which are adapted to specific customer needs. These advantages in production enable quick implementations of improvements of serial devices and quick start up of newly developed systems. For achieving best results, the production uses exclusively high quality and very reliable components of European manufacturers such as Copeland, Swep, Alfa laval, Honeywell, Danfoss, EBM, Ziehl abbeg, Carel etc. All heating heat pumps are 100% tested. RUDI KRONOVŠEK, the founder and current procurator of the company Kronoterm d. o. o., who has been working in the field of heat pumps for over 43 years, was employed in Gorenje on scholarship; he took over the development of freezers directly after finishing his diploma at the Faculty of Mechanical Engineering in Ljubljana. At the time of the first energy crisis at the beginning of the 70s, he was the initiator of the Slovenian production programme of heat pumps in Gorenje. He developed the first generation of serially produced DHW heat pumps. 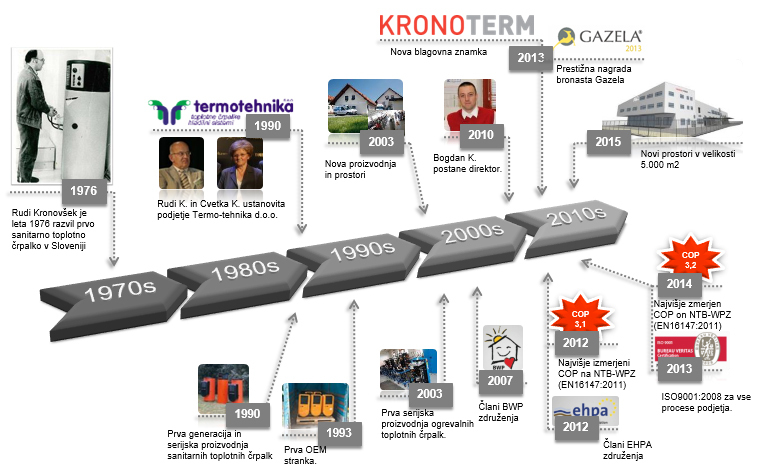 With the disintegration of the company Gorenje RR and the discontinuation of certain departments, particularly the development departments, he decided for an independent career and thus established the company Termo-tehnika d. o. o. in 1990 (the new company name is from 2017 Kronoterm d.o.o.). THE MISSION OF THE COMPANY has always been design, development, production and implementation of high-tech devices for economical and environmentally friendly heating and cooling. The commitment to the activity is one of the core values ​​of the company, which builds its reputation on professionalism and expertise. Continuous investment in knowledge and development, advanced technology, strategic partnerships, quality and flexibility of production and services, technical support to partners and customers, and highly qualified service support are the values ​​and advantages that make KRONOTERM d.o.o. 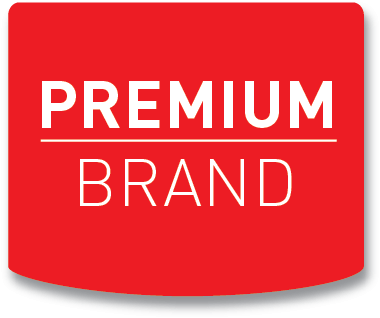 with the KRONOTERM brand recognized as the most professional and trustworthy company. 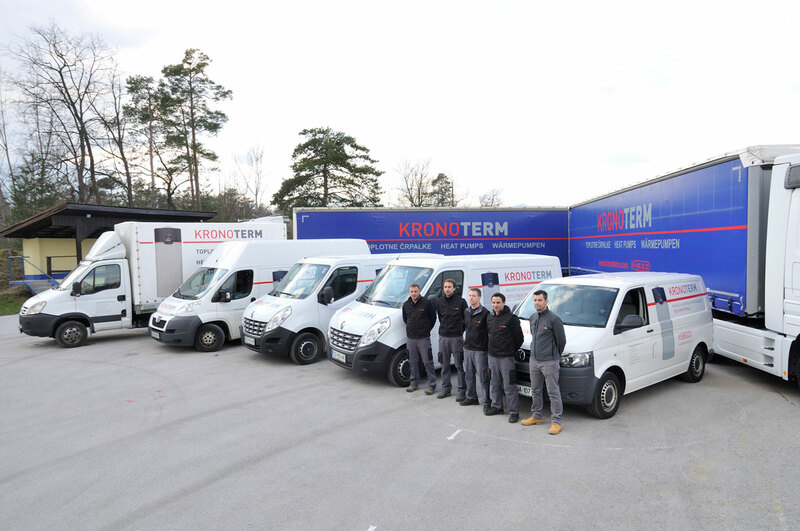 In the further development and operation, Kronoterm aims to expand the production and marketing of DHW heating systems, heating and cooling facilities, as well as waste heat recovery. The basis of all development is the production and marketing of heating and cooling systems tailored to the needs of customers. At the same time, the motto is the exploitation of renewable energy sources in the cheapest possible way, and thus reducing the consumption of fossil fuels and environmental pollution. The decision to install a suitable heating system in new buildings as well as in renewing existing systems is not easy and can mean a big investment or a never-ending problem for the next 15 years. To help you with this complex decision and clarify the operation of the system, present the advantages and disadvantages as well as limitations of heating with a heat pump, the company offers a qualified team of consultants and sales engineers. 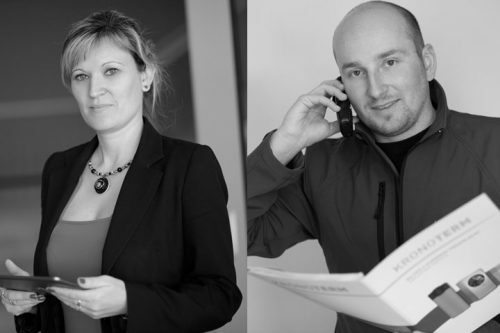 We help you with planning, designing, choosing the optimal system according to the possibility of using various heat sources on location, we oversee the realisation and ensure the end optimisation of the whole system. We do all this free of charge because our company believes and advocates the fact that the correct planning and realisation are key in efficient and reliable operation and customer satisfaction. 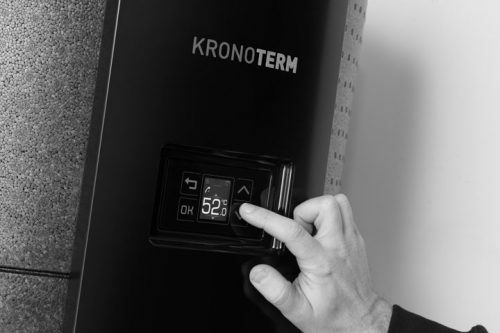 Choosing the heat pump with the KRONOTERM brand will quickly turn out as a wise decision. With 6000 DHW and over 1000 heating heat pumps sold we have been the leading Slovenian company in the field of heat pumps for many years; at the same time, we are more and more present on international markets. Kronoterm’s story of success continues. In 2012, their DHW heat pump TČ2VZRT/E-321ECO NT won best result in efficiency among all measured heat pumps of various manufacturers on the Swiss institute. According to standard EN 16147 (A15 / W10-55), which has already been established among all manufacturers in the last two years, the heat pump achieved a heating number of 3.1. We set the milestones of efficiency even higher in January! We were the first among competitors to achieve the magical coefficient of efficiency of 4.0 with the heat pump WP2 LF-302E, for which we also obtained the TÜV certificate. What do the results mean for the end customer? The numbers alone which this kind of heat pump offers cannot be of any use for the end user. The construction improvements of the ECO model mean that it is possible to heat the same amount of water with more than 10% lower costs than so far. The difference between heating DHW with a heat pump compared to conventional heat sources is now even greater in favour of heat pumps. We have also lowered the use of electricity in stand-by mode for additional 22%. Your savings can be even bigger! What does this result mean for the company Kronoterm? To have the best heat pump on the market is undoubtedly a great privilege, but this privilege requires a lot of effort. This result testifies to the effort put in development in form of continuous searching for better and higher quality solutions, ever more efficient components and the simplest possible operation for the end user. The new production facilities have an even better monitored and higher quality production process. These kinds of quality products open up new sales opportunities onto foreign markets as well as ever more customers who cherish technologically advanced products and want high savings with the purchased device. Despite good results the development of DHW heat pumps continues. 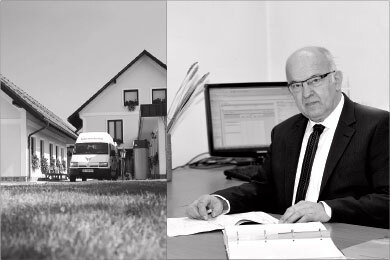 In the words of the owner of the company Mr. Rudi Kronovšek, the DHW heat pump is a product which every home should have. 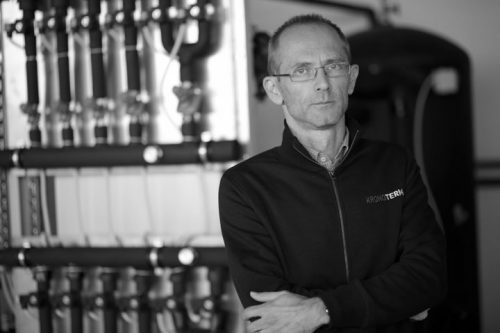 Using the Kronoterm heat pumps means savings and helps the struggle for a cleaner environment (lowers the atmospheric CO2 footprint) and its purchase creates jobs. The experience of customers and the number of installed devices in homes show the product is worth your trust. Our own production ensures all spare parts of KRONOTERM devices are in stock and always ready for replacement which is especially important during cold winter days. The quick and effective service is one of the key advantages over many competitive providers. Our team provides Remote Diagnostic Services (RDS) – Wherever your location, you are always connected. We can assist you with the skilled professional management, which can monitor your heat pump to identify a problem and fix it. That it is a heat pump which brings you great savings and comfort does not need further explanation. But that the KRONOTERM heat pump is worth trusting and purchasing is expressed by the number of more than 50,000 heating heat pumps in 25 years of development and manufacture. Every year KRONOTERM’s production produces more than 6,000 units of DHW heat pumps and more than 1000 heating heat pumps.